The written word over the spoken word any old day if I had to choose, if push came to shove. And January, as always, had me wading through a lovely sea of them. 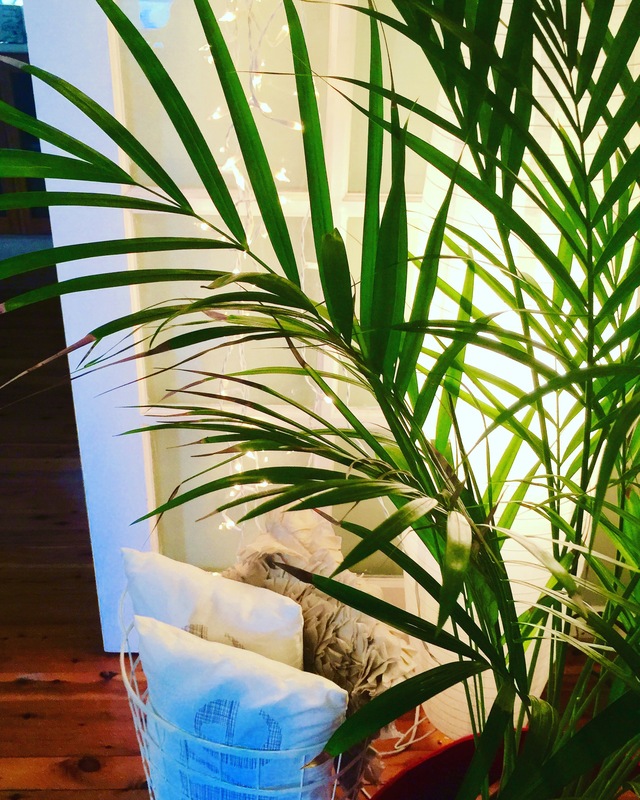 Theres all those new year posts for a start – I love reading other bloggers new year missives. Totally amazed at their presence of mind so early on in the year – popping out genius posts the first week or two of January when I’ve barely made it off the lounge or out from under my Kindle but oh God bless them that they do. I’m so grateful to have such good inspiring insightful words to read. 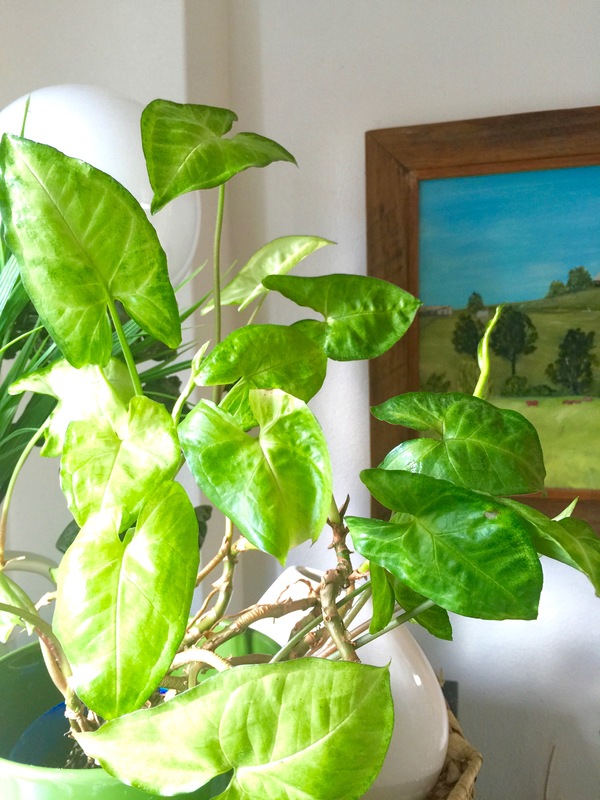 Kind companions as I tip toe my way into the new year and feel my way slow for a good bit – a peaceful lull before the real work of the year begins. And because January is our summer here in Australia I always have a good book or two on the go – nothing makes it feel like a holiday (even if your at home) like a good book to bury yourself in, especially when no one seems to mind me serving dinner at 9 or if I get out of bed at 11. As for MY words ? – well that story really started in December . 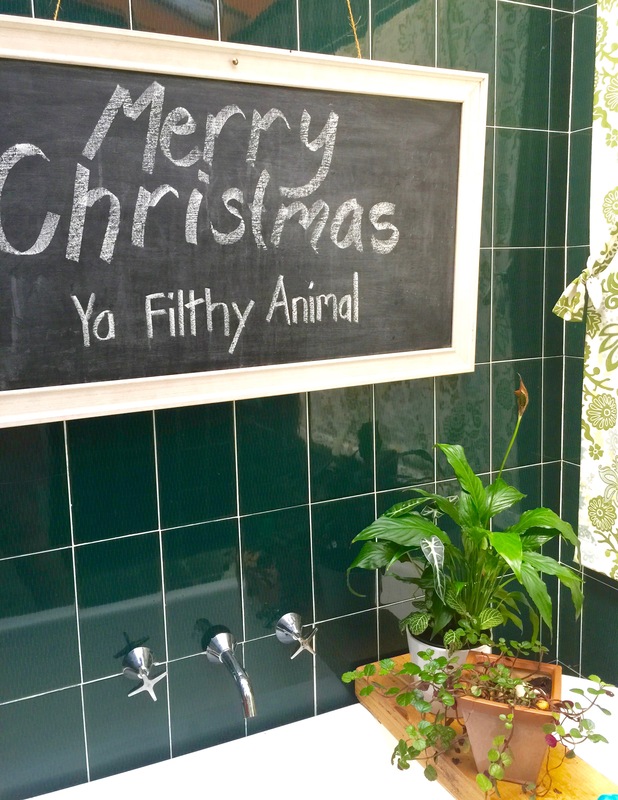 I had been trying to come up with just the right meaningful non cliched Christmassy thing to write on my bathroom blackboard which had been blank for a good while. At some point “Washed Clean” had been washed off. I’d hung my Christmas wreath in front but I was wanting some words. Then I saw this phrase embroidered lovingly on a holiday pullover on Instagram. And because Home Alone is an all time Christmas favourite in our house and because it seemed appropriate for a bathroom and because we can all just get too darn serious about things- – – – we ended up with this. My kids thought it was Hil-arious with a capitol H. I did too but then I’m easy entertained. A week into January though I was staring at a blank board again and wondering what words I might write that had something to say about this new year. See I’m not much good at new year proclamations or declarations. Personality type partly, post Christmas exhaustion mainly. But heres what I’ve found. When I give myself a chance, a bit of space, a bit of time without forcing the issue somehow the right words find me anyway, they rise on up to the surface without me even trying. And sometimes the tiniest of incidents or events can resonate way inside and tell a story you didn’t know needed telling. I had two of them. One was sitting on the edge of the sea pool on a hot, hot hazy day, somewhere between Christmas and New Year watching my kids swim. I hadn’t brought my swimmers for “all the reasons” (those extra kilos, unforgiving lycra, legs that haven’t seen a razor in a while) and I was feeling pretty pathetic because I hadn’t made the effort and because I don’t want my kids to have the mum that just watches from the side, I don’t want to be the mum who’s always just looking on. I half told myself “I’ll be organised next time, I’ll wear my swimmers with all the appropriate coverage and get in – next time.” but it was an old and tired and incredibly boring excuse that I’d heard myself make too many times before. Some moments are there for the taking and some don’t come again so I took the moment and got in with the kids clothes and all much to their delight (they were so daring me to). Olivia thought it was too funny and Ethan who seems to get embarrassed if I even breath near him in public these days, loved it as well because despite his bravado he loves me being in the thick of it with hm. The second was a decision to take our two up to Sydney on New Years Eve to see the fireworks on Sydney harbour. Ethan has been talking about wanting to do this for a couple of years and very conveniently each year we have been down south camping. This year we didn’t go camping though. Uhh I can’t begin to tell you how much I did not want to go to Sydney on New years Eve. It had all the elements of a waking nightmare for me. Thousands of people all trying to see the same thing at the same time, traffic congestion, road blocks and the keeping everyone safe – no thank you. The last time I’d ventured into the city on NYE I was young and single and had drunk a glass or two of champagne to steel my nerves. 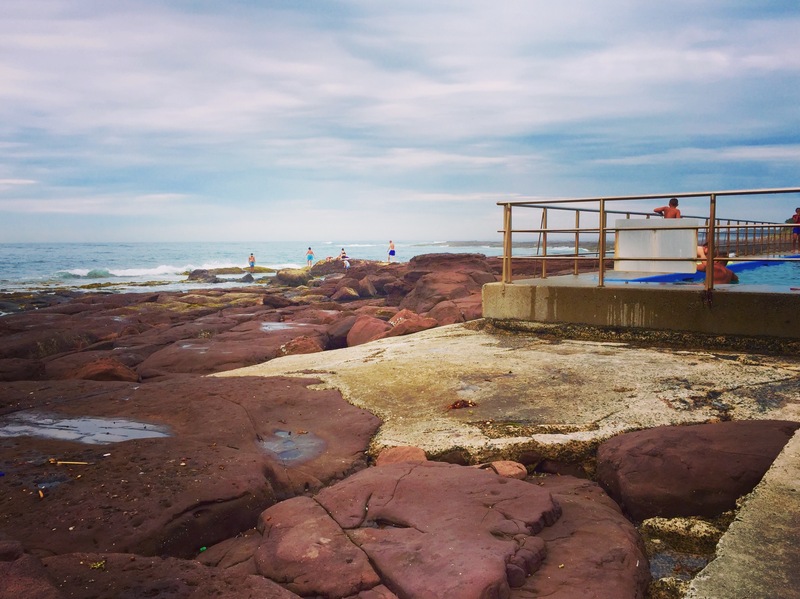 I was soooo tempted to back out but it was the same deal as the pool – Ken and I looked at each other and thought do we make excuses, do we act like boring people or do we take our kids on a wee bit of an adventure. Do we grab this chance and show them that even without the perfect plan, with things against you, you can make a decision and get yourself where you want to go. So we threw our fold up chairs and picnic blanket and a few snacks and drinks in the car and headed up. Theres a lot we haven’t been able to do for our kids this summer. No holidays overseas that according to Ethan, all his friends are on, no annual camping trip either as we usually do due to my work – but THIS we could do. Yes we could do winging it even at the risk of getting them all the way there and not seeing a thing all Griswold like. We could do looking like the Beverly Hillbillies driving around ultra posh Point Piper in our truck. WE could even do me reversing up a very steep one way street and double parking to get a great view of the Harbour (with plenty of time to spare I might add). Oh my goodness the excitement when we found that view. And those fireworks. Most spectacular I’ve ever seen but truly I didn’t go for the fireworks – I went to see my kids faces and to hear them say “we did it” like we had climbed Mount Everest” rather than just drive an hour and a half from home. I think my boy grew three inches that night he was so happy and pleased that he had finally got there. Was it a glamorous new years eve? – not a bit but we had ourselves a little family adventure and that beats glamorous hands down anyday. Small moments and small decisions that turned something over on the inside of me. Not as side splitting as the previous message but a good reminder for the kids because showering and bathing isn’t always high on their priority list. And a good reminder for me to ditch the excuses more often and follow my heart more than my head. But it don’t come naturally. 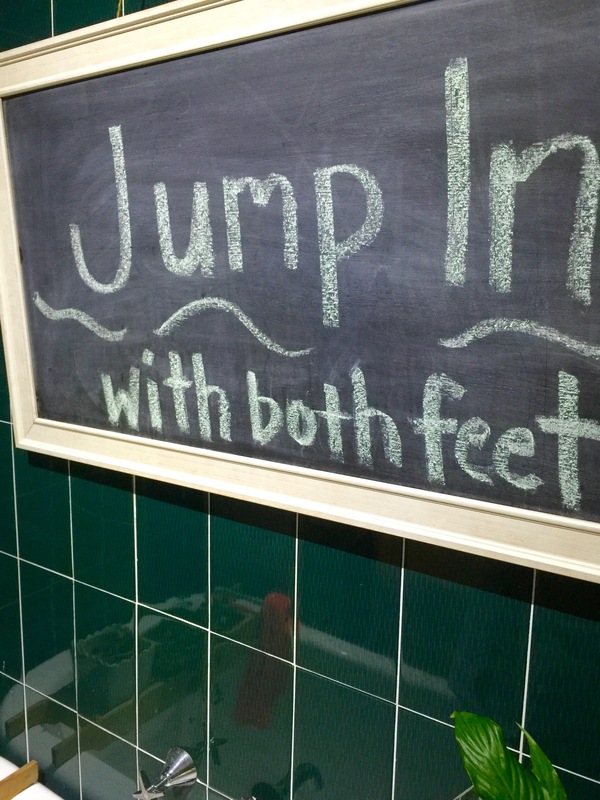 Jumping in isn’t really my style. I’m more a slide in quietly while no one is looking kind of gal, more the type to tip toe around the edges till I get the wobbles and just fall in – which are both Ok options because you still end up in the water. But I’m a great one for not getting in at all or getting half way in and then turning heels and heading home where its safe. I’m a good one for talking my self out of things and faffing around and overthinking and overcomplicating everything to such an extent that I end up waving the white flag in surrender and turning on Netflix. Maybe its time to approach things a little differently. Now that doesn’t mean I’ll be trying to be someone I’m not, or I’ll be committing myself to a whole slew of things I have no capacity to follow through on or that I’ll be diving into things completely unthinking. and then hanging around long enough to see what happens. Maybe it just means more swimming in my clothes. A few other words I’ve been reading “just by chance” of late are in Luke 18 and 19. Stories of two people worlds apart but as broken as each other. Both had every reason to pull back and lay low and shy away and make excuses. Except that they didn’t – they recognised the moment, they grabbed the opportunity for the short second it was there and as a result came face to face with living breathing Hope. Zacchaeus was a wealthy educated, influential but corrupt man, despised by his community and so short he had to climb a tree to get a glimpse of Jesus. Who knows with what attitude he climbed that tree – derision, curiosity, inner turmoil, shame – it doesn’t say but where he wasn’t was at home feeling sorry for himself. He was up that tree having a good look where everyone could see him and when Jesus eyeballed him and said I’m coming to your house to eat, Zacchaeus said Yes. He led Jesus to his home with great “excitement and joy”. He could have just as easily scoffed at the invitation from this dusty story telling man, he could have brushed him off with a wave of his hand, climbed down that tree and disappeared into the crowd. But Zaccheaus took the leap, he took the chance. The other man a blind beggar, the lowest among his people, without position or employment or a home. But when he heard the crowd gathering and the excitement grow he wasn’t about to miss out. He had little to hope on, no one to stand for him and when he heard it was Jesus, he didn’t wait for permission or for an invitation – he started to holler. He had a brokenness that wouldn’t let him stay quiet and the more he was told to shut up the louder he got. He shouted until Mercy walked right up and gave him back his life. I wonder at that sort of courage, the sort of courage that says yes against all the odds, that takes that risk, thats prepared to fail, that doesn’t let go of what just might be possible. I’ll leave you with these words that I first read last November. Some words make a home with you. They tell part of your story and settle on in you and don’t leave. These are some of those. No galley with oars rides them. Would love to hear how January has found you so feel free to share away below. How I Handle Screwing Up My Goals – The Lazy Genius Collective. 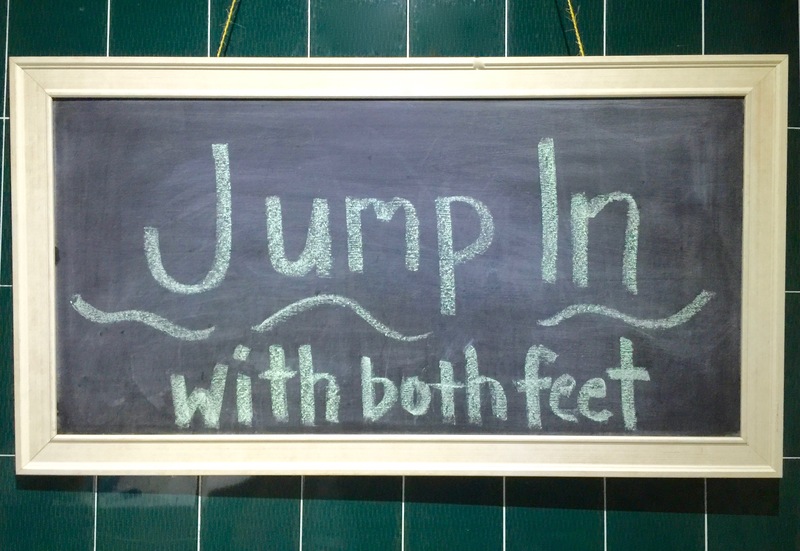 I love your phrase for the new year, “Jump in with both feet.” I love how children can prompt us mothers to be more adventurous. I hope you have a lovely day!